It never fails. The minute the calendar hits “August” no matter how hot it is outside thoughts turn to Back to School and Fall. We may not be wearing jeans and sweaters yet, but our nails can dress the part. I sometimes find myself in a color rut – always going back to the same colors season after season. (Though I will admit I will never tire of OPI’s “I’m Not Really a Waitress”.) But this season I’m stepping out and trying some new and unexpected hues. 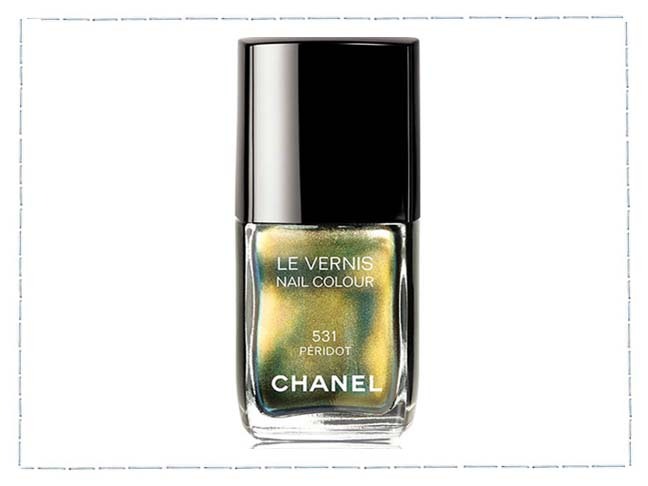 Chanel Le Vernis “Peridot” Nail Color. Drops of green and gold patina on every finger. Click below to see more awesome fall colors. Clothing trends don’t always translate to every body type, but nail colors fit everyone. Nail color is a small way to make a big impression and unlike a drastic new haircut, if you don’t like it? There’s polish remover. Feel like getting spunky or dramatic with your nails but your office or organization frowns upon stylistic expression? Go wild on your toes. 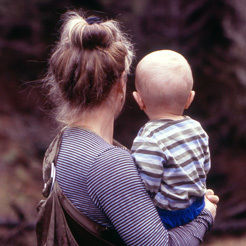 In those cold months they’ll be covered in flats or kicky heels or killer boots. It’ll be our secret. NARS “Jungle Red” Nail Color. Elegant on short nails, vampy on longer nails. 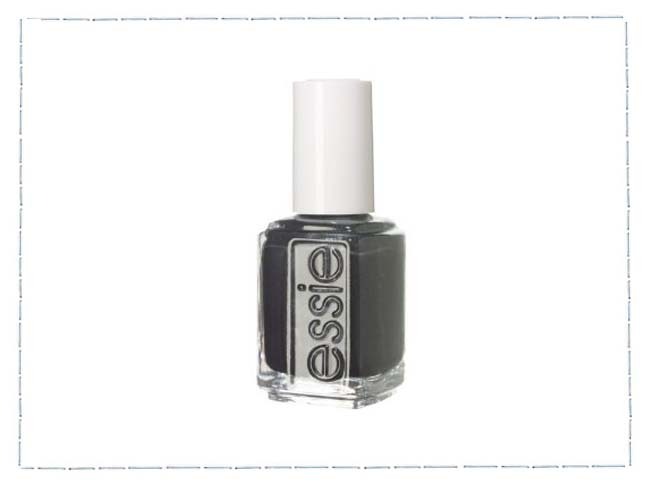 Essie “Over the Top” Nail Color. A deep charcoal shimmer. 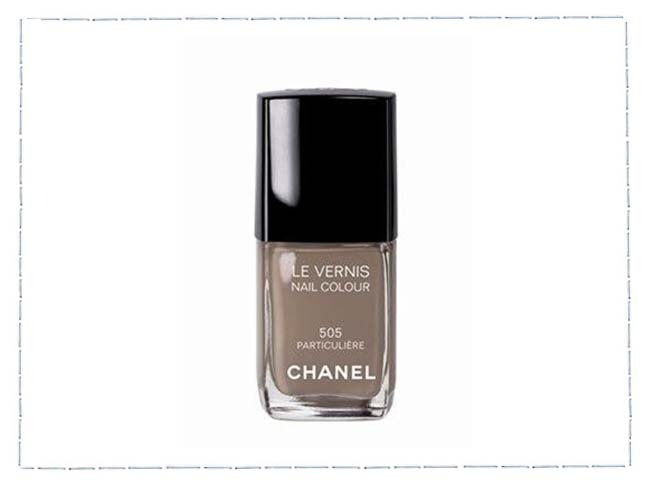 Chanel Le Vernis “Particuliere” Nail Colour (#505). Richly taupe. 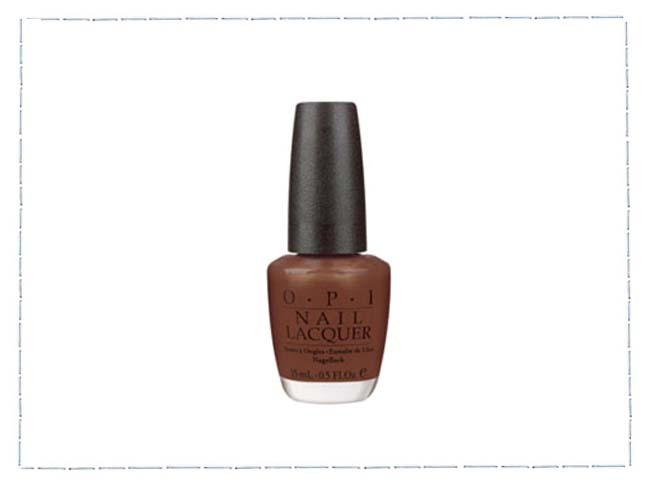 OPI “Espresso Your Style” – a deep, rich, shimmery chocolate and gold. See it in real life – it’s gorgeous. What will be on your nails this season? Will you dive into some interesting fall colors like a big pile of fall leaves?